We are delighted to confirm that ADS member, Holovis, will host and sponsor the next free ADS Members Reception at their Demonstration Campus. The Reception will focus on showcasing how innovations in technology, Virtual Reality and simulation can optimise capability and add value for the aerospace, defence, security and space sectors. Speakers will cover a range of topics showing how the sectors can work together to bring a different approach to capability delivery and will feature key case study examples to illustrate performance and added value benefits. Holovis specialises in the creation of multisensory, immersive and interactive environments for simulation and visualisation. These accurately bring complex data sets to life and allows users to engage with them, enhancing data integrity, saving time, money and in some cases lives. For visualisation, the company is pioneering developments within the Industry 4.0 space through a proprietary dynamic software ecosystem that runs across the complete product lifecycle, allowing manufacturers to connect and collect data, learn from and analyse results and ultimately innovate and transform their operations. 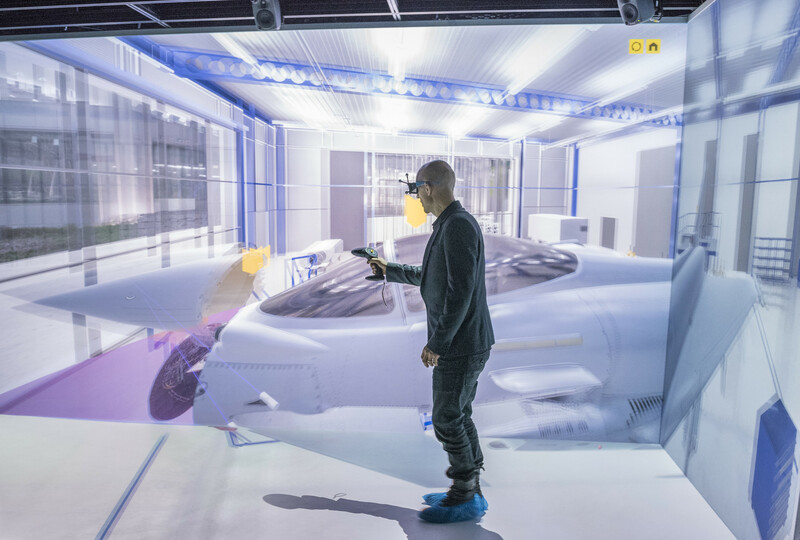 This is brought to life through Machine Augmented Reality and Virtual Reality, allowing real-time collaboration between any global destinations. For simulation, Holovis creates Joint Terminal Attack Controller (JTAC) and Cave Automatic Virtual Envirtoment (CAVE) environments that allow hands on training in the virtual space. These are fully multisensory environments featuring immersive visuals, audio, interactivity and SFX, activated within complex AV environments to maintain group experiences and through Virtual, Augmented and Mixed Reality. This event takes place at the company’s Midlands Demonstration Campus, where there is a wealth of demos featuring immersive and emerging technologies to explore. Dome Environments – explore two fully immersive projection domes; a 10.5 metre 3D space and the JTAC (Joint Terminal Attack Controller) JALO accredited 4 metre training space. These surround the users with immersive media and audio to bring highly compelling training scenarios to life. Near Miss Safety Simulation – research proves that employees are safer following a ‘near miss’ incident, so that is exactly what we create in the virtual space. Two multisensory environments teach the dangers of working at height and driving whilst tired, delivering a lesson users won’t forget in a hurry! CAVE – The Cave Automatic Virtual Environment brings complex data sets to life in the 3D space. Users wear a tracked headset to interpret this data and so it moves to their true perspective, then interact in real-time on a 1:1 scale for multidiscipline design and engineering reviews. VIX Suite – this dynamic software ecosystem from Holovis is revolutionising product design, review and creation, connecting all operations and bringing them to life in the virtual space to save time, cost and enhance accuracy. Use Machine Augmented Reality, Virtual Reality and AR CAD tracking to explore data sets, annotate and collaborate in real-time and check built products against the design intent.